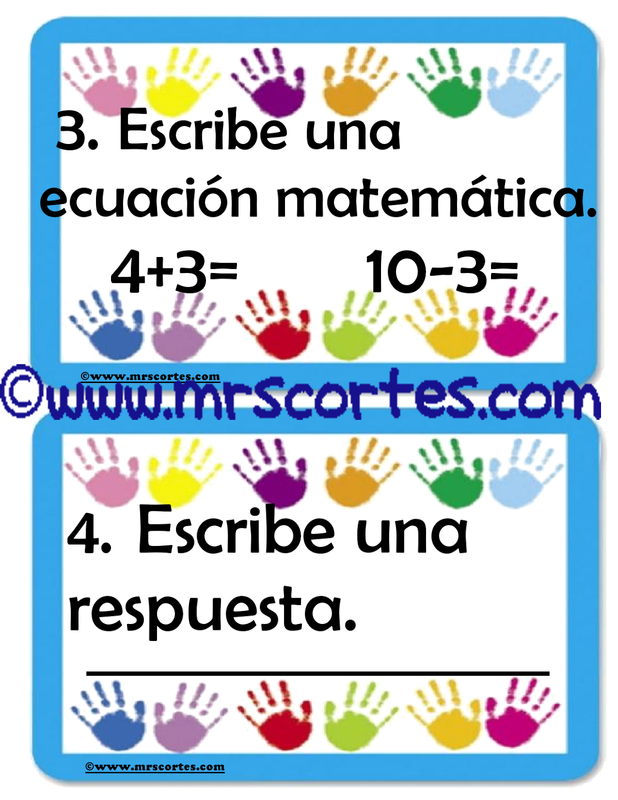 I created these 4 posters to help my students with their problem solving strategies. 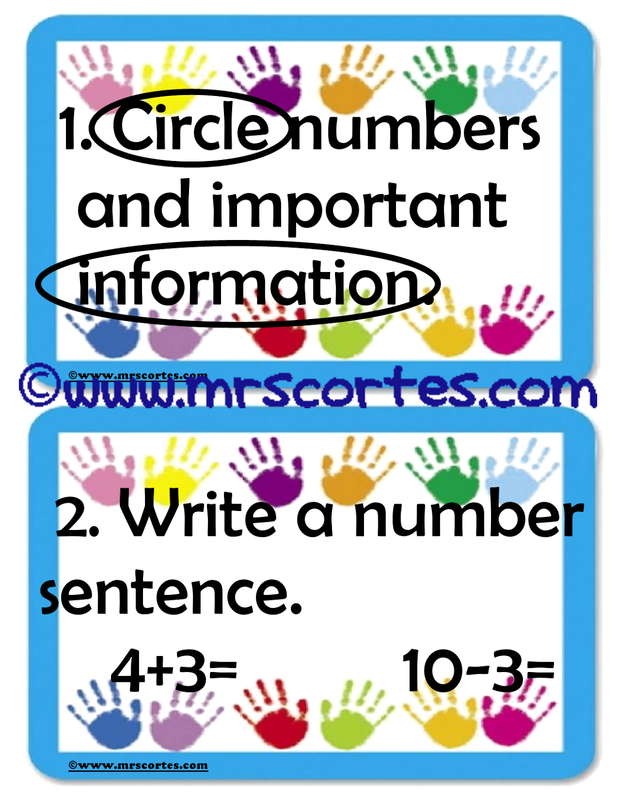 They show four very easy to follow steps that work also as a checklist when working on word problems. I also added a "mini-version" so every student can have their own checklist on their desks or any accessible place for them. I usually put them by their name plates using clear adhesive tape or a piece of clear contact paper.